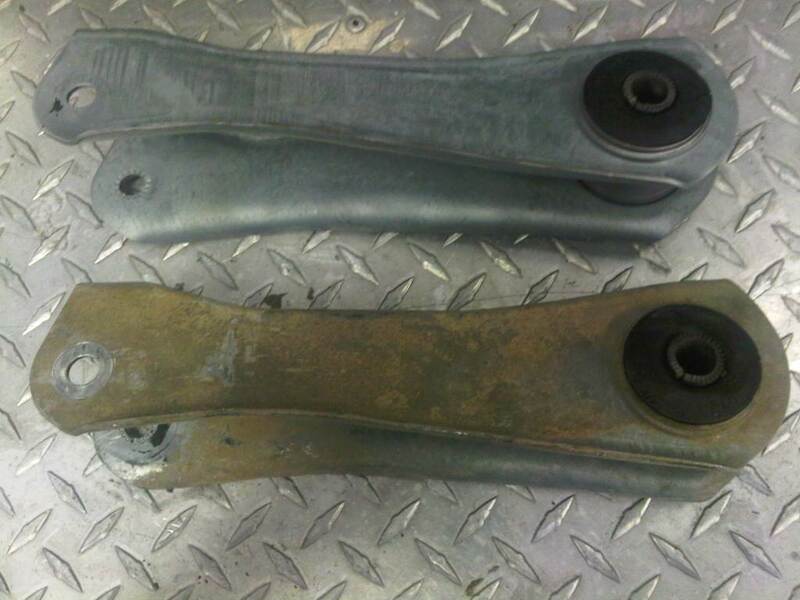 The factory contol arm bushings were in sad shape. 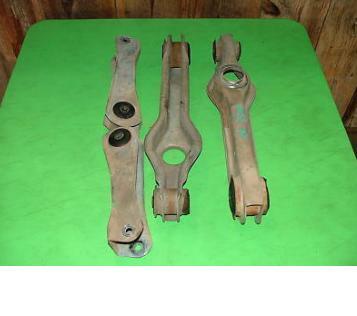 Rather than spend money on new bushings and then having the chore of replacing them, I picked up a set of used rear control arms from a low-mileage 2003 Mach 1 that had been salvaged. In getting them ready for my car I needed to clean them up to remove the dirt and rust. A trip to the blasting cabinet took care of that. 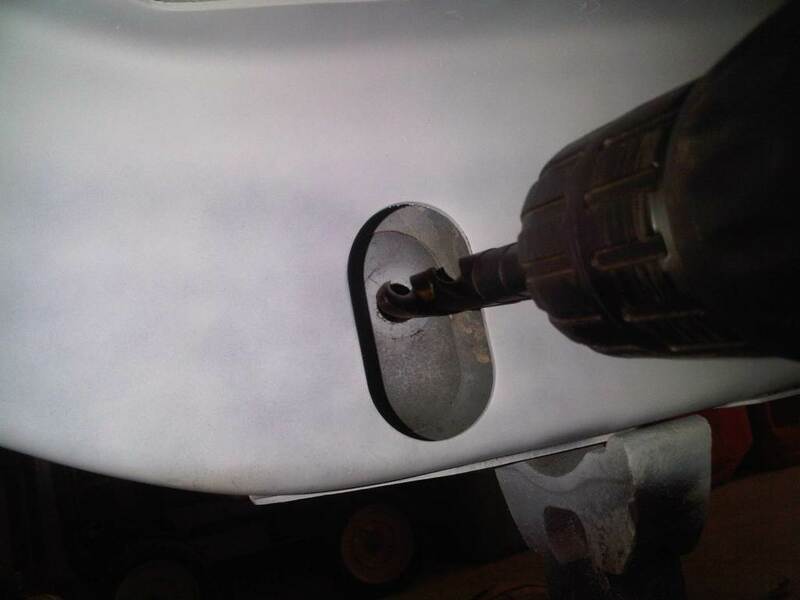 To preven future rust, they were wiped down with a rust-preveting solution. 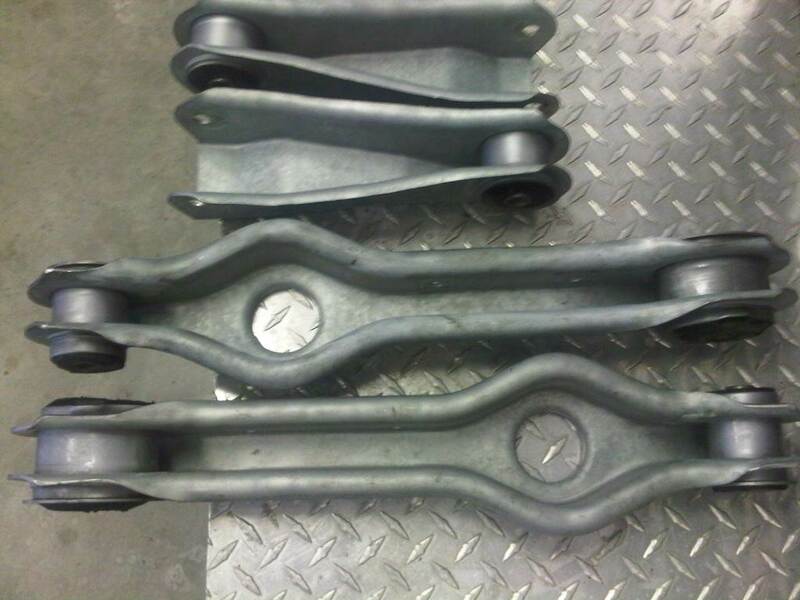 I did have to make a small modification to the car in order for the new control arms to fit. 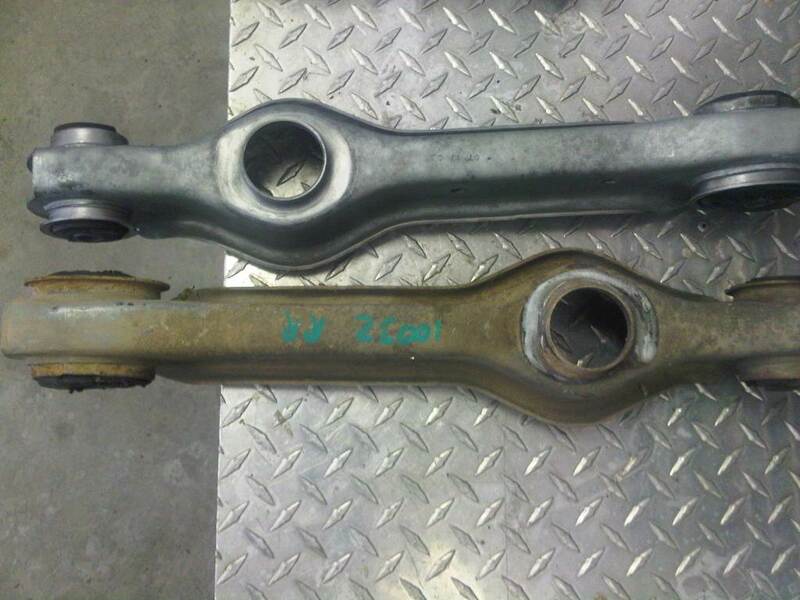 In 1999, Ford increased the diameter of the mounting bolt from 12mm to 14mm. 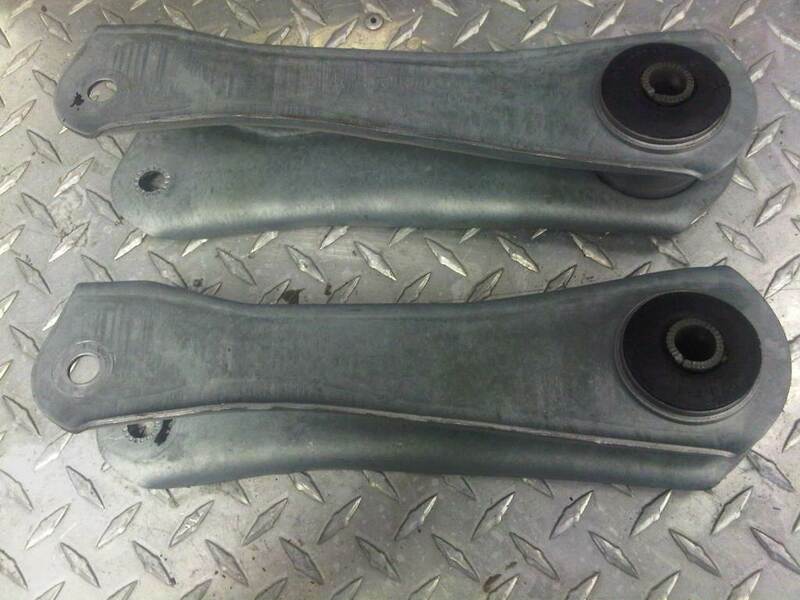 This means the bushings on the new control arms have larger holes that the origional ones. 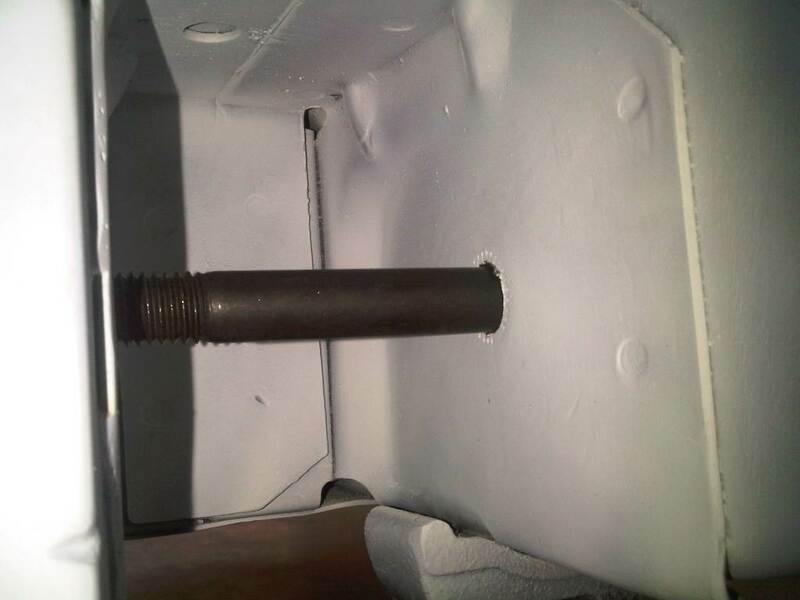 To fix this problem, I needed to drill out the holes on the frame and rear axle to accept the 14mm bolts I purchased from Metric Bolt in Jupiter. A 9/16ths drill bit works fine for the job, no exotic metric bit is needed.